Do You Have Your Tickets to Alright Alright's Epic Album Release Show on Saturday, October 13? 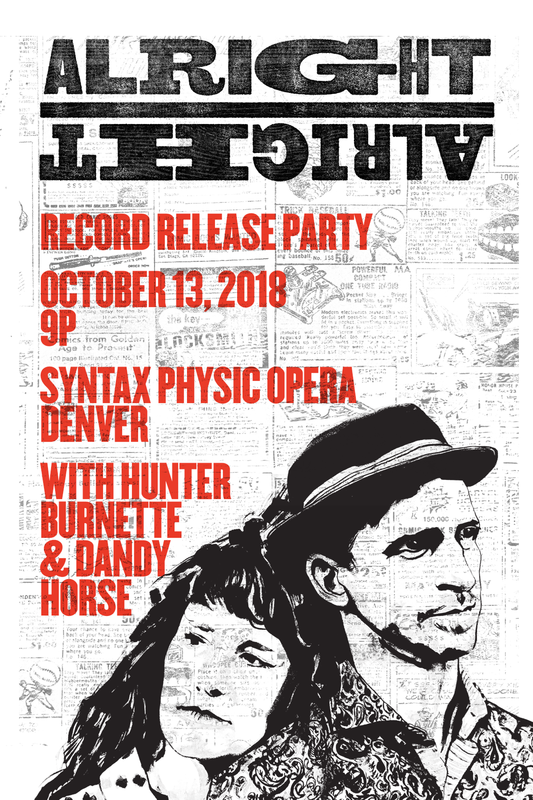 We would so love to see your beautiful faces at our record release party at Syntax Physic Opera on October 13. In addition to the supergroup, Dandy Horse and the ridiculously talented Hunter Burnette, we pulled out all the stops and found us a string quartet and a children's choir. I'm not even making this up. If you purchase advance tickets, you will be entered to win a bundle of sweet sweet merch from our freshly re-stocked merch store. CLICK HERE FOR MORE TOUR INFO! Copyright © 2018 AlrightAlright, All rights reserved.